I want you to have joy for your journey, says the Lord. Do not dwell in the land of discouragement, distractions, distress and destruction. For the enemy is vying for your attention. He is the one who comes to steal, kill, and destroys. He cannot destroy you, but he will try to keep your focus on the environs around you and rob you of your peace. He will endeavor to destroy your faith and trust in Me, as you look at the problems, rather than Me. He desires to kill your destiny, as you wallow in the quagmire of the cares of this life. Do not stay in that land of darkness and defeat, but walk with Me in the light, says the LORD. Come into MY PRESENCE where there is fulness of joy. Abandon the works of the enemy, as you unburden yourself and link up with Me. 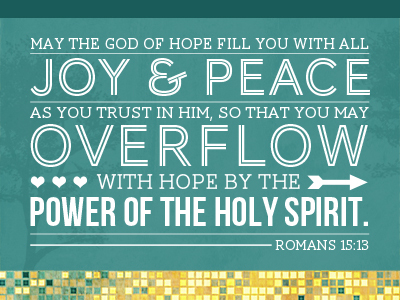 I will give you joy and peace that the enemy cannot tamper with. It is lasting and untouchable, if you will rush into My presence, and find yourself hiding in Me. This is the place I want you to be, a pavilion and refuge for you at all times, where the enemy cannot reach you. This is YOUR PLACE in Me! I will comfort you on all sides, shield you from his attacks, and give to you what cannot be taken from you. I will lavish My love on you, and keep you in My perfect peace, as you are sheltered in My arms, and receive unspeakable joy in My presence, says the LORD. Amen!Thank You Father fir Your love!